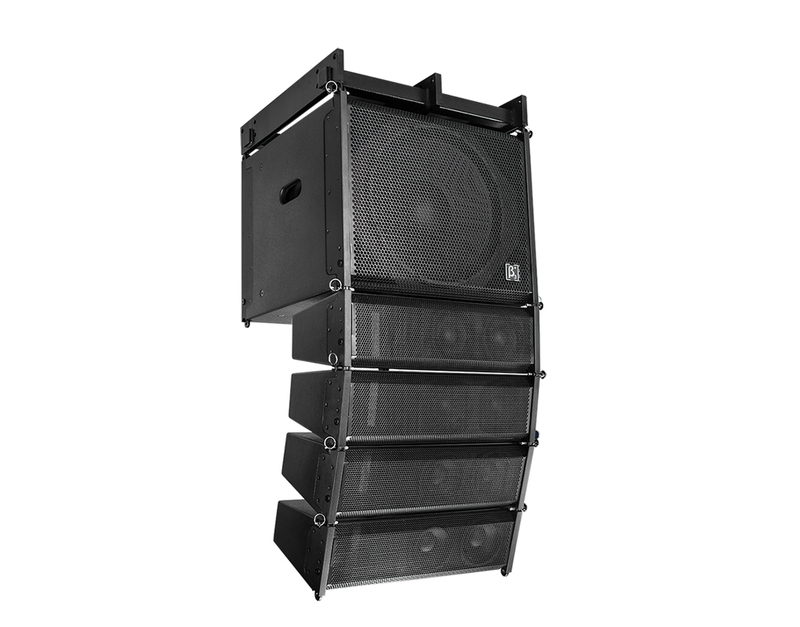 The R5/R15a line array system consists of four R5 satellites and a R15a self-powered subwoofer. Thanks to its self-powered feature and compact size, R5/R15a is a plug and play line array system which is really easy to transport and install. These features and its power output make it a perfect choice for small and medium installations, such as conference rooms, auditorium, school, House of Worship, shopping-malls, etc. R5/R15a is made in high density plywood and it is available in two colours: black and white. Up to 1 x R15a + 8 x R5 can bt flown together.